On 14th June Cllr Peter Tomas distributed the funds he raised during his Mayoral year which concluded in May 2018. 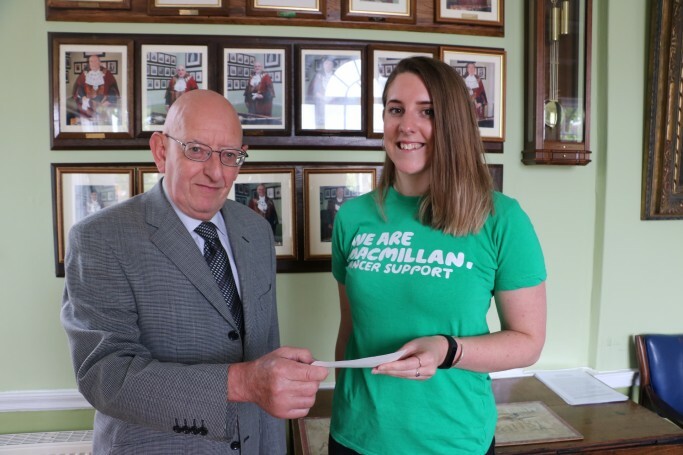 Throughout the year he hosted several events and raised a grand total of £2,835. He supported charities which are all involved in supporting victims of cancer. Macmillan Nurses, Prostate Cancer Organisation and Crazy Hats all received £945. Error: Error validating access token: Session has expired on Sunday, 10-Mar-19 10:19:09 PDT. The current time is Thursday, 25-Apr-19 15:07:49 PDT.